Playground maintenance is imperative for your playground and recreational area. Recreation today can provide may services in this area. Keeping your safety surfacing in compliance is one of the most important maintenance issues to keep the children who play on your playground safe and to keep your playground in compliance. If you have Engineered Wood Fiber (EWF) as your safety surfacing, you should be raking the surfacing back into place in high use areas, such as at the end of your slides and “jump-off” spots. When your EWF needs to be recapped, we can help you with that. Recreation Today can help you assess how much EWF you need, and ship that amount out to your site. If you have other types of surfacing, such as bonded rubber or EPDM, you need to inspect your playground on a regular basis to be sure there are no holes in the surfacing, or loose surfacing that a small child could pull up. If you need repair or maintenance on these types of surfacing, we can assist you with that as well. 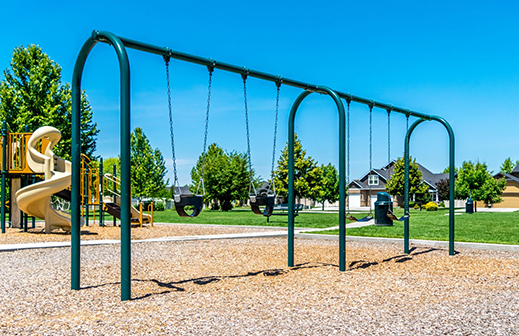 Swings are a type of playground equipment that you need to keep an eye on for maintenance. Older swings chains can rust and get twisted causing a situation where children might get pinched or injured. Recreation Today has replacement swing chain with a smooth zinc finish. We also have replacement belt seats, toddler seats, and ADA adaptive swing seats. Swings are another area where you must also check your EWF very often since the wood fiber gets “swept away” unless you have placed wear mats under the swings to help avoid this issue. If you wish to purchase wear mats, we can help you with that as well. Slides are another item that get a lot of use. There should be someone who walks around your playground on a regular basis to be sure that there has been no damage or vandalism to your equipment. For some reason, slides seem to be one of the pieces of equipment that get vandalized. If you need a replacement slide, we can assist you with that, as well as wear mats to protect your EWF from displacement in the landing zone of your slide. 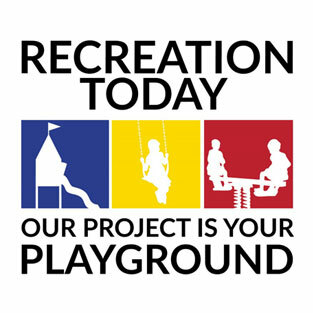 Recreation Today can assist you in doing an Emergency Board-Up if you have areas of your playground equipment which have been damaged due to malicious destruction, vandalism, or even just wear and tear. If you see that there is an issue with a piece of your playground equipment where a child may get hurt if they use the equipment, please call us immediately. We will come out and do an Emergency Board-Up that secures the equipment so that children will not use the damaged pieces until they are repaired or replaced. We will bring “Board-Up panels” which will prevent access to the damaged equipment. These panels are solid panels which are installed securely so that children are denied access to the equipment until the replacement pieces can be ordered and installed. This Emergency Board-Up process will assist in alleviating your liability due to damaged equipment. Contact Recreation Today and find out how we can help you with your damaged equipment. We can also do an inspection of your entire play structure to be sure that the remainder of your playground is safe for use. 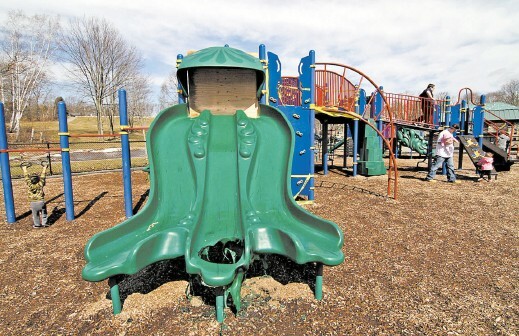 Click here to see information on playground safety and inspections. 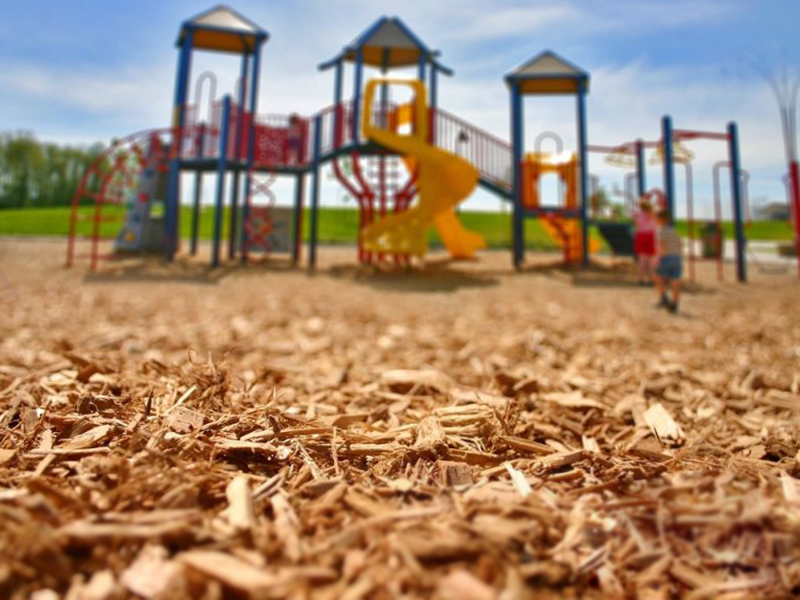 Does your playground have some kind of curbing or edging to keep the grass and weeds from growing into your use and fall zones and keep the soft surfacing material where it belongs? If not, we can help you with that as part of your playground maintenance! Keep your kids safe with proper soft surfacing!